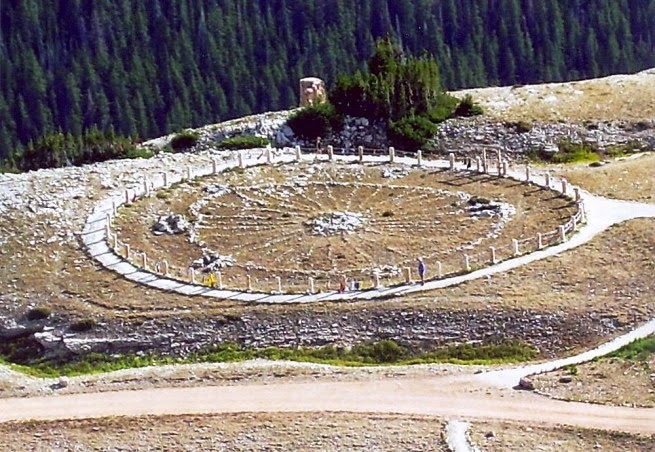 Many years ago I read an article in a flyer I receive from the Wind River Indian Reservation that was about a stone medicine wheel on the top of Medicine Mountain in the Big Horn Mountains of northern Wyoming. The article fascinated me because no one is certain which Native Americans built this medicine wheel, or even when. At the top of a nearby mountain peak is a stone arrow pointing to the medicine wheel, which I found even more fascinating, because at the time someone created these places out of stones, there were no airplanes. There would be no way to see the arrow pointing to the medicine wheel except from above. Native Americans consider the medicine wheel sacred, believing only spirits from above would see it. There is a central cairn, with spokes coming out to join in a circle of stones so that the entire site looks just like a wagon wheel. My husband and I took a trip to see the medicine wheel, and the first time we went there you had to drive up a very dangerous, one-lane (side of the mountain-no guard rail) road to get o the site. The second time we went to see it, the national park service had made a better road, but it goes only part way up and then you have to walk the rest of the way. The wheel itself is now fenced off because of (I call them jerks) people stealing stones from the site. When you go there, you get a chilling feeling of spirituality, as though you have just walked into an ancient mysterious past. And the view on top of Medicine Mountain is SPECTACULAR!! The moment I read about this stone medicine wheel, I knew I wanted to write a book that would be based around this sacred site. That book is MYSTIC DREAMERS, and on the original hard cover book jacket there is a picture of the actual stone medicine wheel. After that first book I knew I needed to continue the story of Stalking Wolf and Buffalo Dreamer, so I wrote book #2 MYSTIC VISIONS and then #3 MYSTIC WARRIORS, which follows the Sioux nation into the Custer battle. All three books are filled with real Native American history, customs and beliefs, and a good share of mystic spirituality, the third book ending with a very spiritual and mysterious event that (I hope) leaves readers wondering if this really could happen. I personally believe it could. I am happy to announce that all three of these books, although some are still available in print through Amazon.com, are now available as e-books for all types of e-readers. Enjoy! 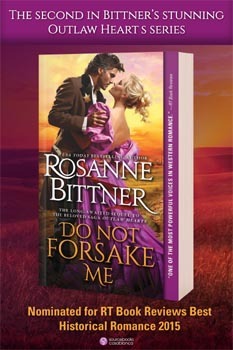 For over a decade, Rosanne Bittner has enchanted her readers with tales of adventure and romance in the times before the White Man settled the West. Now, in the tradition of Kathleen O'Neal Gear and W. Michael Gear, the bestselling author of Song of the Wolf and the Savage Destiny Indian series turns her hand to historical fiction with a wonderful new story of Native America sure to capture you and carry you on an adventure of love and hate, good and evil, life and death. In 1833, Star Dancer, a Sichangu (Brulé Sioux), is promised in marriage to Stalking Wolf, an Oglala warrior whom she has never met. What begins as a loveless union develops into a moving story of a man and a woman led by powers beyond their control. Dreams, visions, and mystic experiences fill this provocative love story that launches a saga about the Lakota and their first meeting with the White Man. 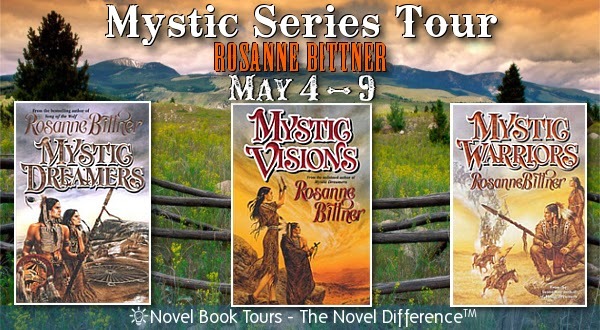 In Mystic Dreamers, best-selling author Rosanne Bittner began a compelling saga with the meeting of Buffalo Dreamer, a holy woman, and Rising Eagle, a warrior whose powers were unmatched, for he had been blessed by the Feathered One. Now, in a new story sure to enthrall both new readers and devoted fans, Bittner follows Buffalo Dreamer, Rising Eagle, and their children through the great Indian wars and the settling of the West, where, in addition to the risks and rewards of daily life, they and their Lakota tribe must face the influx of white settlers and soldiers into their lands and into their lives. In Mustic Visions, we experience Buffalo Dreamer's increasingly powerful visions of the bluecoats and a coming war. We learn the fate of Little Big Boy and Never Sleeps, and of Never Sleeps's mother, Fall Leaf Woman. And we meet the one who is destined to lead the Lakota People in their greatest trial ever, Crazy Horse! Copyright 2000 Cahners Business Information, Inc. The white buffalo is a sacred and holy creature to the Lakota. Buffalo Dreamer, a holy woman, and her husband, Rising Eagle, have not only been blessed to see the white buffalo, they have eaten of its heart and have been told by the sacred beast that as long as the Lakota have the white buffalo hide, all will be well. But all is not well. White hunters have stolen the sacred white robe and great misfortune has befallen the Lakota. Settlers continue to invade Lakota territory, backed by vicious cavalry forces that massacre women and children. The Lakota are starving and their anger is growing. Led by Rising Eagle, a great force of Lakota and other tribes wage war upon the white man. Together they battle to regain the land stolen from them, to protect the precious buffalo the white man wantonly destroys, and to search for the sacred white robe. Giveaway ends June 09, 2015. These books look amazing and would keep me reading. Sounds like a wonderful series. What a great summer read! Wow...this is a whole new twist on historical fiction. I love it. This sounds like a great series. Thank you for sharing them. 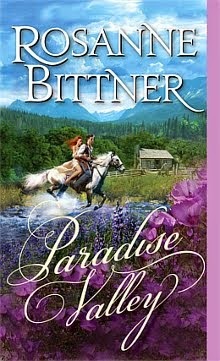 I feel like kicking back and reading a romantic novel right now! Tour packages in India comment, Thanks for sharing good information...! Sign Up - Street Team! Get My Latest News & Updates! Visit Rosanne Bittner's profile on Pinterest. 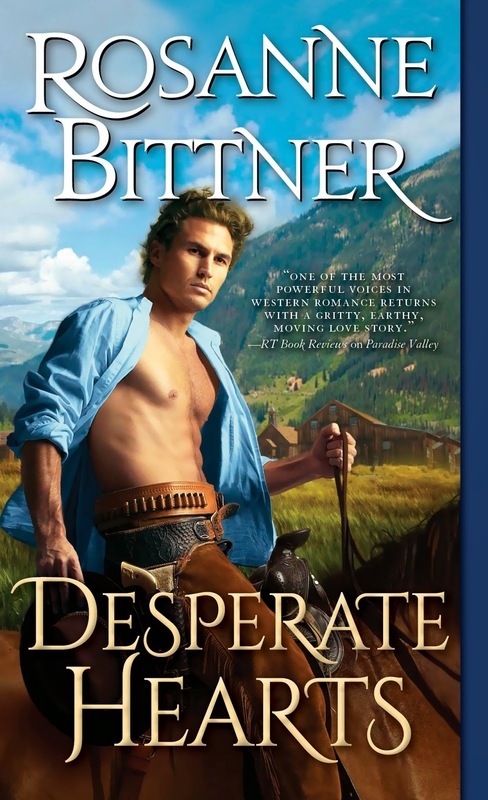 "This Western historical is chock-full of danger, with families set on a vendetta, the threat of Emma’s stepfather, and the daily demands of Mitch’s job, but Emma is no wilting lily, proving she is a match for Mitch in every way." Group for Rosanne's readers to discuss her books. Share book reviews and ratings with Rosanne Bittner - Heart of the West, and even join a book club on Goodreads.